Well past the threshold of spring and (hopefully!) having put all of our Valentine’s Day decorations away for another year, we are already confronted with a looming St. Patrick’s Day to decorate our u shaped kitchen with. 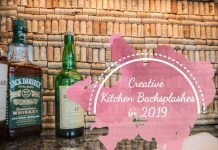 It doesn’t have to be a time consuming or expensive process–just take our cue from some simple and fun ideas, and your kitchen will soon have a vibrant theme that you can enjoy all month long. Looking for a pretty quick and very festive DIY craft concept for the Irish holiday? We have you covered. 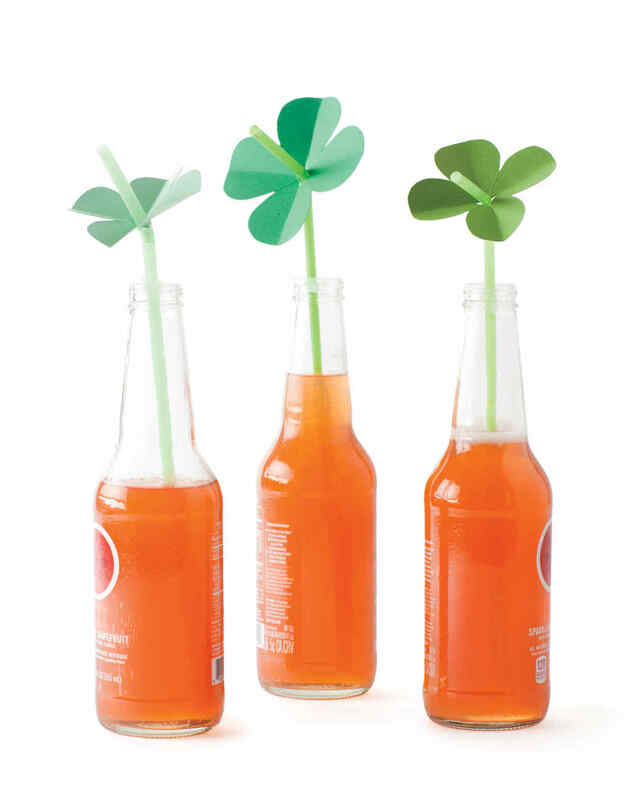 With a tip of the hat to the good fortune of St. Patty’s, you and the family can create your own luck with some fun leprechaun-inspired straw toppers in the shape of four-leaf-clovers. They’re not only fun for the kids to make, but they can make for a great place setting when you’re entertaining along with a sweet after school snack the kids will love. Once you have your cut-out, use your single hole punch to cut a hole in the center. 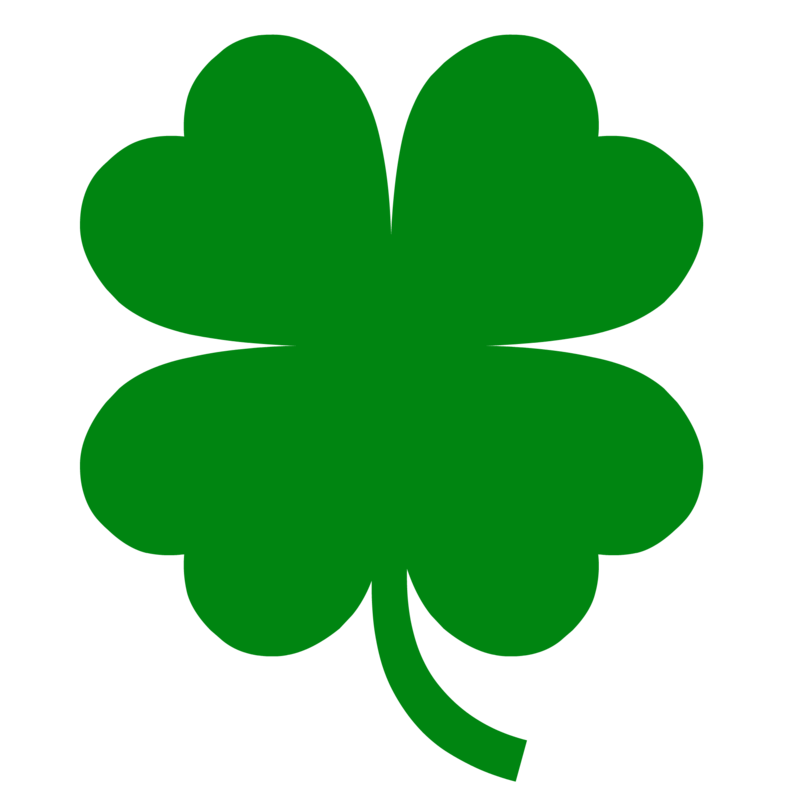 If you haven’t got access to a hole punch, you can fold the clover in half temporarily and cut out a small diamond in its center with 2 scissor cuts at angles. Next put your bendy straw through the hole and place the long end of the straw into your bottle or mason jar that has dyed water or Kool-aid in it. Done! Some great treats wait on the counter of your u shaped kitchen. This one is a real blast because it’s always sure to make the kids laugh. The idea is that a leprechaun is hiding in the shape of a little bucket filled with his gold coins! You can put some chocolate gold coins inside or plastic decorative ones but we prefer the real treats. You can pick up a green mustache sticker from most hobby stores around this time of year, but you can also get some green butcher paper to cut one out yourself in the general shape. If you go that route, why not have extra fun doing a few different mustache styles for different cups! Just use double-sided tape to add it to the cup. 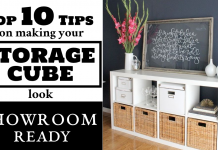 With your supplies in hand, this one can be done in seconds. 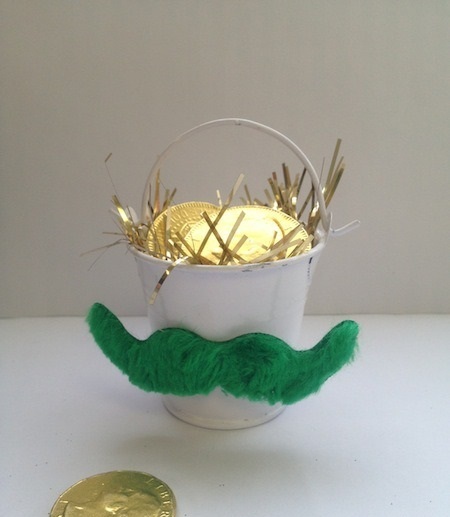 Just pour your gold coins into the bucket/mug and attach your mustache sticker or taped paper onto the side. It’s a hiding leprechaun in the kitchen! 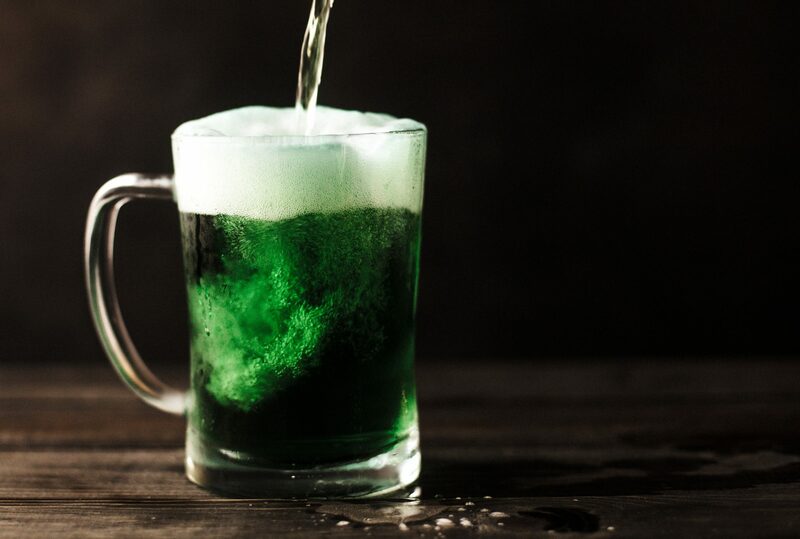 At work, at home, or on the playground nobody likes to get pinched on St. Patty’s Day, do they? We came up with a great little shield that should protect you and your loved ones from being caught without a bit of green even if a uniform or the wardrobe of the day wouldn’t permit it. 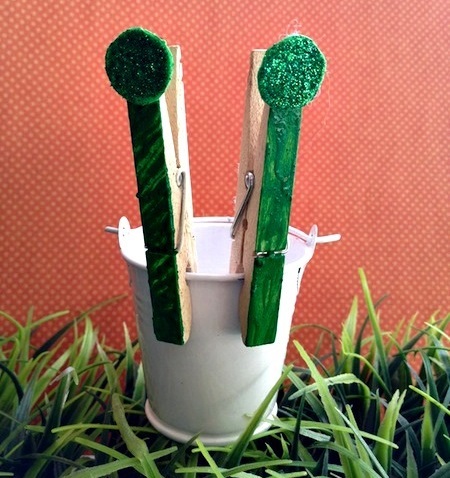 Just use your marker to liberally cover your clothespins in green. Get them as green as you can, these are your shields! Then if you want to add some glitter, just apply a bit of glue without going overboard to put a bit at the end. Now you can clip these on to the leprechaun treat buckets on your u shaped kitchen counter for easy access to your kids heading off to school. Your pinch protectors are ready, kids!